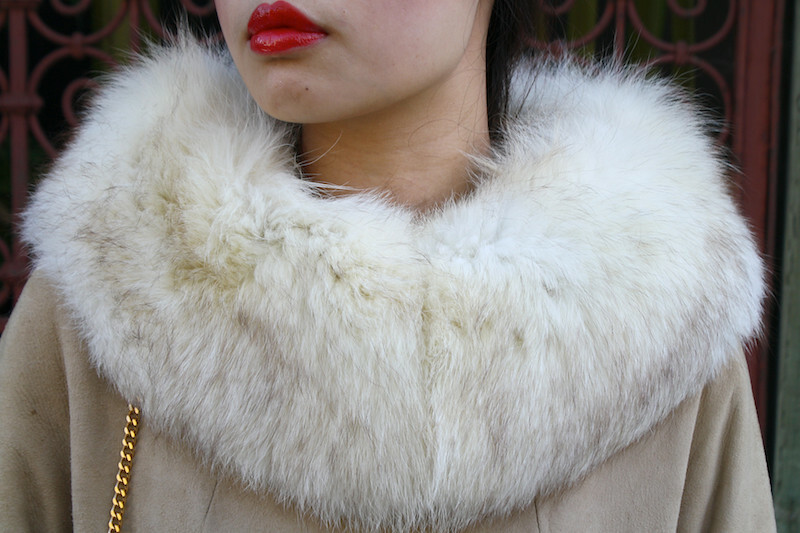 Vintage fur trimmed suede coat by Monnig's from tinytoadstool. 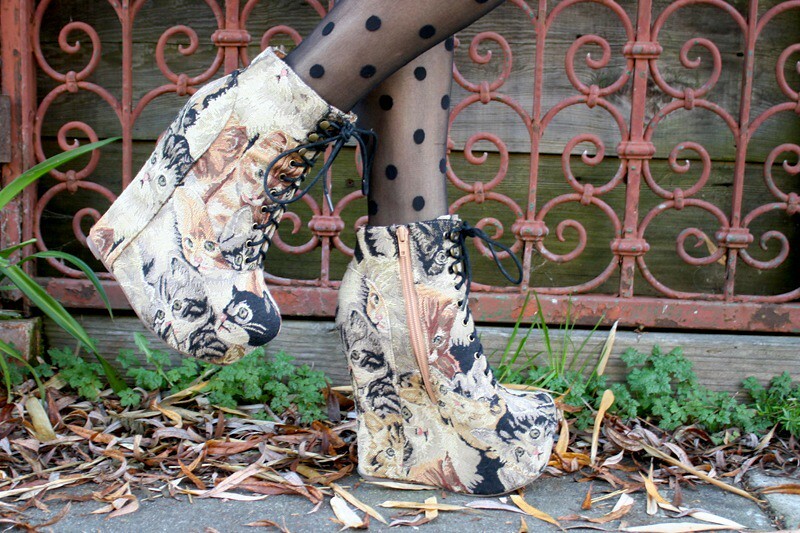 Jeffrey Campbell Damsel in cat tapestry from Eilatan. Sheer polkadot tights from Hong Kong. Thrifted vintage heart studded purse by Timothy Hitsman. Leather Bow hairclip from H&M. Vintage gold bracelet from Etsy. Two tone silver and gold bracelet from F21. Rings from Etsy and from my work Sway. omg. everything about this outfit is amazing. 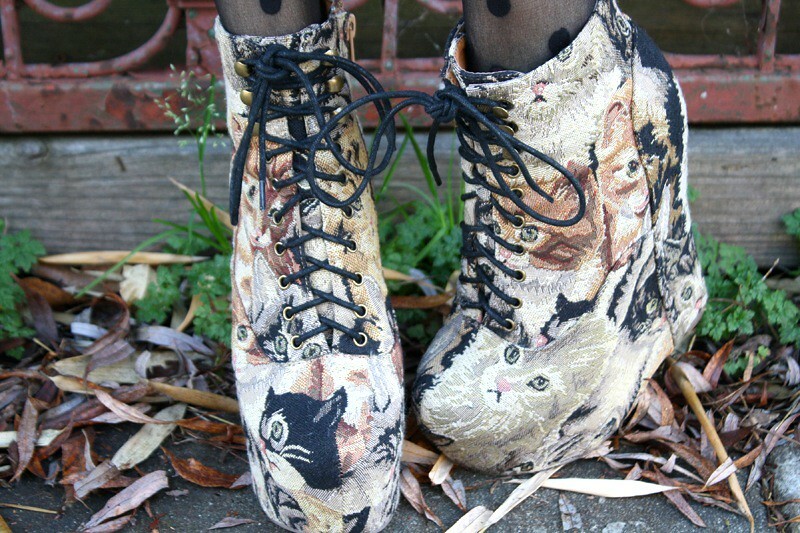 Your style is exquisite, definitely following your blog! Another great location to showcase a really rather spectacular outfit.